Note: SpaceNet is a collaborative effort between CosmiQ Works, Radiant Solutions and NVIDIA. For more information see the SpaceNet Road Detection and Routing Challenge Announcement. Millions of kilometers of the worlds’ roadways remain unmapped. In fact, there are large organizations such as the Humanitarian OpenStreetMap Team Missing Maps Project whose entire goal is to map missing areas. Since 2014, over 41,000 contributors have labeled 16 million buildings and manually traced and digitized 13 million km of roadways. Machine learning could play a key role in accelerating this process. The SpaceNet Road Detection and Routing Challenge is designed to assist the development of techniques for generating road networks from satellite imagery. The Road Detection and Routing Challenge asks competitors to turn satellite imagery into usable road network vectors. For this challenge, we created a new metric, Average Path Length Similarity, for evaluating the similarity between a ground truth and proposal road network. 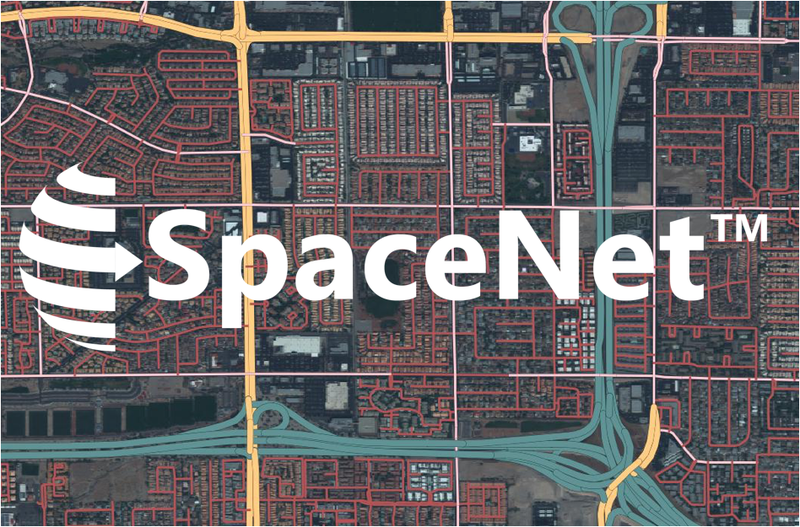 We also created the SpaceNet Roads Dataset, a road network vector layer digitized from SpaceNet imagery to provide accurate ground truth labels. The Challenge, hosted on TopCoder, launched on Tuesday, November 28th and runs through February 2nd. After the conclusion of the competition, the winning implementations will be open sourced and released on the SpaceNet Challenge GitHub repository. For more information and contest rules, visit the SpaceNet Competition page. The SpaceNet Roads dataset was specifically built for the SpaceNet Road Detection and Routing Challenge. The new dataset consists of 8,000 km of road centerlines with associated attributes such as road type, surface type, and number of lanes. All roads were digitized from existing SpaceNet data — 30 cm GSD WorldView 3 satellite imagery over Las Vegas, Paris, Shanghai and Khartoum. Table 1 shows the breakdown of the type of road by SpaceNet area of interest. Table 1: A summary of amount of each class of road in each SpaceNet area of interest. The dataset is divided into three parts: 60% of the dataset is distributed as training data, 20% as test data, and a final 20% has been held back for validation purposes. The data is being distributed in 400m x 400m tiles hosted on AWS and is licensed as Creative Commons 4.0 International Attribution Share-Alike. Visit the SpaceNet Roads dataset webpage for download instructions. Participate in this exciting challenge! Start by registering at the SpaceNet Competition Page and then download the dataset to compete in the SpaceNet Road Detection and Routing Challenge.